NOTE TO MIKE BICKLE: WE HAVE DOWNLOADED ALL RESOURCES BELOW AND OTHER RELEVANT MATERIALS FROM MIKEBICKLE.COM. PULLING THEM NOW WILL ONLY LOOK AS IF YOU ARE HIDING THE TRUTH. WE WILL SIMPLY UPLOAD WHAT YOU HAVE PULLED DOWN. We’ve already provided a simplistic overview of the Shepherding/Discipleship Movement (SDM) in the 1970s. This time we would like to turn your attention to the Prophetic-Apostolic Movement (PAM) of the 1980s. Countless bizarre prophecies and experiences from Mike Bickle, Bob Jones and other false prophets and leaders. Although Wimber and Wagner played a significant role in developing the Apostolic Movement through the Vineyard Movement (US) and New Wine Movement (UK) in the 1980s, our focus will be more on the Prophetic Movement in Kansas City, led by Bickle and Jones. This article exists so people can hear for themselves, Bob Jones and Mike Bickle talk about iHOP’s creepy origins. Back in the early 1980s, it was known as the Kansas City Fellowship (KCF). It later became the Kansas City Prophets (KCP) prophetic movement which helped bring into fruition other movements, mainly Bickle’s iHOP movement. We will also include an important work of a man who helped expose the dangers of this cult-like movement within the New Apostolic Reformation (NAR). In this resource you can hear an interview with Bob Jones talking about where he gets the source of his revelations, healing and power and the Jesus both he and Bickle follow (their Jesus is called Dominus/Don). Compare what Jones and Bickle talked back in 1988 as to how everything came about, in contrast to Bickle’s later embellished stories of these events. “The Prophetic “Blast-Off.” The “launching pad” of preparation and the “space shuttle” of the Prophetic Movement had been in a state of preparation for years until God’s appointed time for launching. The countdown had begun several years before, and finally progressed to the moment of blast-off. The revelation principle is that someone at some insignificant place must be used to launch what God wants activated. God’s timely purpose for His prophets was officially birthed into the Church world on October 15, 1988, and was launched into what has become known as the Prophetic-Apostolic Movement. Forty years. In 1947, 40 years before the initial “labor pains” in the Prophetic-Apostolic Movement, William Branham, Paul Cain, and a few other men arose as prophets within the Church. But they were just the few, and they began to fade from public ministry after a while. Then, on February 14, 1948, the Latter Rain Movement was supernaturally birthed at a small gathering of about 70 ministers and Bible School students in North Battleford, Saskatchewan, Canada. The particular truth restored at that time was the teaching and practice of personal prophecy to individuals by prophets and the prophetic presbytery, and the revelation knowledge that there are apostles and prophets in the 20th-century Church. The movement started in a small, insignificant place, but within a few years it had spread across the world. In the 1950s it caused a great controversy among Pentecostal churches. Source: Bill Hamon, The Eternal Church, Destiny Image Publishers, Published: 1981 (Revised Edition: 2003). It is important to note an important figure who exposed the controversies and dangers of KCF/KCP/iHOP’s Prophets at the end of the 1980s. A charismatic pastor by the name of Ernie Gruen released a report titled ‘Documentation of the Aberrant Practices and Teachings of Kansas City Fellowship‘ (more popularly known as Aberrant Practices), in May 1990. He recorded that what he observed were ‘aberrant practices’ under Bickle’s leadership. Thanks to his work as a faithful pastor who diligently scrutinized their teachings by comparing them to the Word of God, he needs to be remembered for his faithfulness and due diligence. Click the link below to download and read his work in PDF form. The after-effects of this report were controversial. Sites such as The Grey Coats, Banner Ministries and Not Unlikelee have done a faithful job recording the aftermath of Gruen’s work and preserved Gruen’s integrity when he received backlash. To this day, Gruen’s work remains unchallenged and highlights the major problem with iHOP, Bickle and his prophetic leadership to this very day. Source: C. Peter Wagner, Apostles and Prophets: The Foundation of the Church. So rather than repent of their false prophecies, Wimber and Bickle locked arms and united against men like Gruen and Christianity as a whole who were calling them out for their failed prophecies and false doctrines. Yet in the eyes of these so-called apostles and prophets, who were the enemy? The faithful Christians. It is also important to note that in his book ‘Apostles and Prophets’, Wagner considered John Wimber a ‘true Apostle’ back in the day. He says this as he recognized that “one thing that attracted to the Prophets and their pastor, Mike Bickle, to John Wimber” was his Apostolic order. 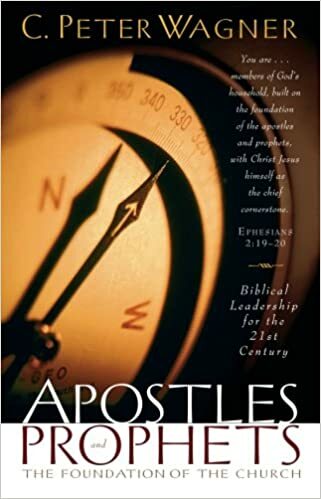 We say all this so people can understand the pivotal role Bob Jones and Mike Bickle played in the 1980s in developing the New Apostolic Reformation of today. Finally, we present Mike Bickle advertising the history of his movement. We encourage you to download the videos, trasncripts and notes so you can research the problems of iHOP for yourselves. If you want to lead people out of this international cult, it’s important you back up all your research and claims with what these dangerous leaders actually say. We sincerely hope and pray that this resource will be of benefit to you. Over the last 25 plus years, the Lord has graciously given us about 25 powerful prophetic experiences that provide insight into what will happen in the days ahead in Kansas City, the USA, and other nations. These supernatural experiences were given to several prophetic people in the 1970s and 1980s. They include times when various believers saw the Lord, heard God’s audible voice, saw an angel, or had prophetic dreams that were dramatically confirmed. These prophetic experiences are referred to as IHOP-KC’s prophetic history. Scripture, being the highest standard and guardian of truth, is our primary light in a dark world. However, the Lord sometimes gives us prophetic experiences to highlight aspects of our specific ministry assignment and to strengthen us in our faith to believe for the release of His extraordinary blessing. For this reason, during IHOP-KC’s ten-year anniversary in September 2009, Mike took eight sessions to retell the most important prophetic experiences. Also included is a message by Mike Bickle entitled, “Where does IHOP-KC go from here?” to prepare the IHOP-KC family at the ten-year anniversary for the solemn commitment they made, by the grace of God, to combine 24/7 prayers for justice with 24/7 works of justice until the Lord returns. Source: Mike Bickle, Encountering Jesus: Visions, Revelations, and Angelic Activity from IHOPKC’s Prophetic History, MikeBickle.Org, https://mikebickle.org/resources/series/38, Accessed 27/03/2017. ‹ Does Andy Stanley Understand God, Scripture or the Gospel?